Update from Algiers: Algeria has decided to take in the group of Syrian nationals who were on humanitarian grounds, including the pregnant woman and children, who had been blocked since April 17, Spokesperson of Foreign Affairs Ministry Abdelaziz Benali Cherif told Algeria Press Service June 1. 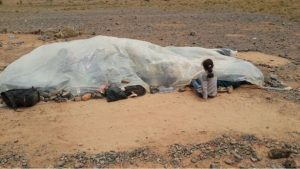 It is a dangerous and arid area that shouldn’t be ventured; however, a group of 55 Syrian refugees, including at least one pregnant woman, have been trapped in it for weeks now with no end in sight. This area of northeastern Morocco, bordering Algeria, is where this humanitarian disaster is slowly unfolding. These asylum seekers have fled war-torn Syria through Libya and Sudan and made their way further west in order to settle in a safe place. In addition to the trauma they are already experiencing as migrants, children as young as a few weeks old have been enduring an unforgiving climate and dangerous living conditions. 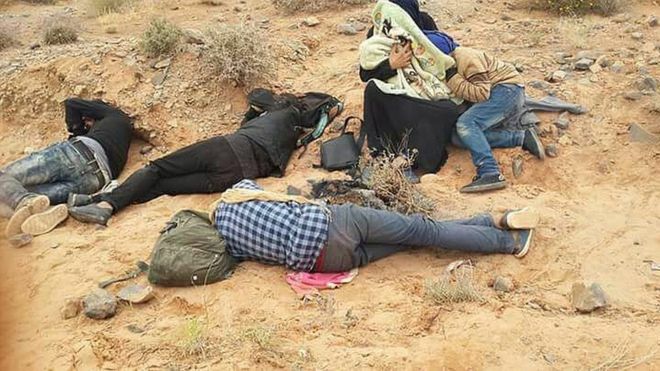 “While Algerian and Moroccan authorities squabble over which country should take the Syrians, men, women, and children are trapped in a desert-like area near the border between them, sleeping in the open and unable to apply for asylum,” said Sarah Leah Whitson, the Middle East and North Africa executive director at Human Rights Watch. When going home is no longer an option, this group of refugees is praying for an end to their plight and is now asking to be sent to a third country where they could finally settle.